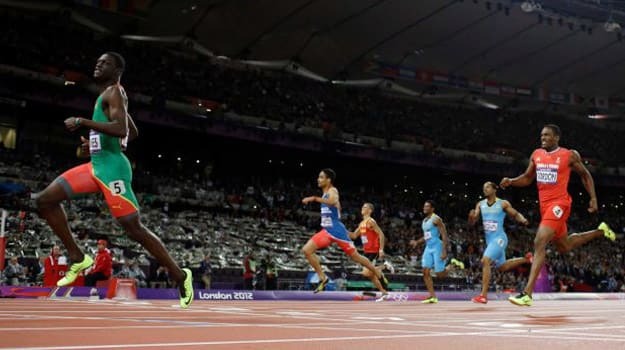 Another first in London as Kirani James win the 400M event to take the first Gold as Grenada&apos;s first Olympic medal. The 19-year-old athlete finished in 43.94 seconds, ending the US reign over the race that held 7 Olympic Games strong. We&apos;re sure plenty agree this is a great way to give up the title. Spot James in his Nike Zoom Ja Fly above.